The replaced process is of course restricted to the permissions (integrity level, SID, DACLs, etc.) that the host process provides. This limitation isn't easily overcome by the injector but rather the tool wielder must take this into consideration when choosing a host process. One of the few things the tool could possibly do is parse any manifest that is included with the replacement process to see if it's going to require elevation. One thing that this tool could do however, is check to see if ASLR and DEP settings of the replacement process are compatible with those of the host process. 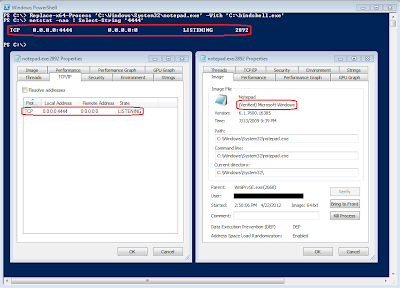 Finally, although you copy over the entire PE header, you don't re-patch the IAT. 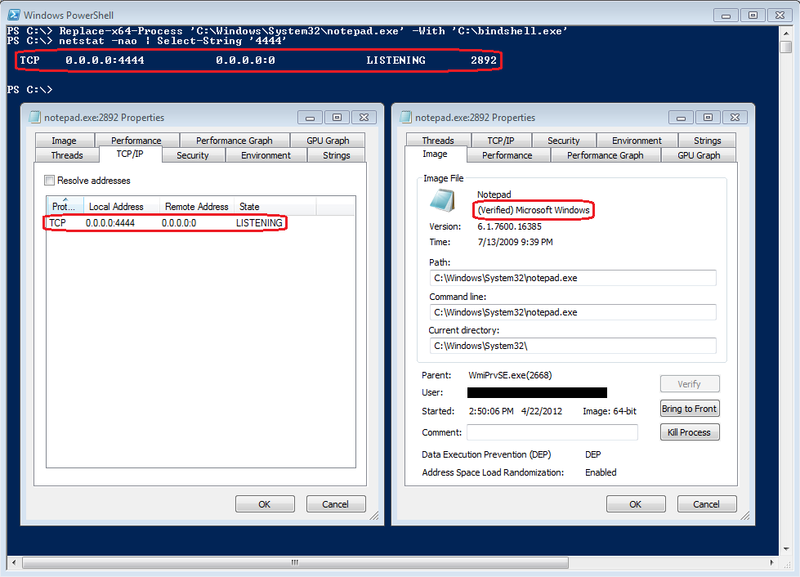 Since the host process has already been processed by the loader, you'll have to process the IAT of the replacement process including loading any libraries required by the replacement process's IAT that weren't already loaded by the host process. Awesome comments. Thanks! I certainly overlooked the code to fixup the IAT. Fortunately, I have a good amount of code that will accomplish that. I'll begin incorporating IAT patching into the next version. Thanks again.